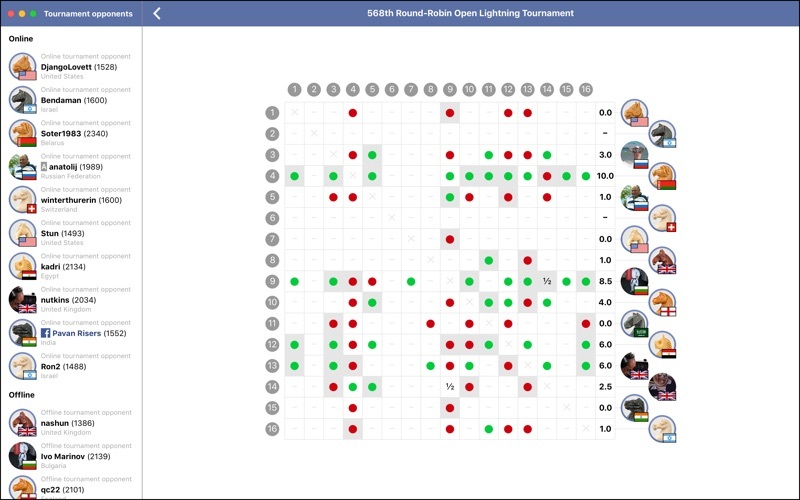 Bullet Chess is designed with 1 min lightning games in mind. 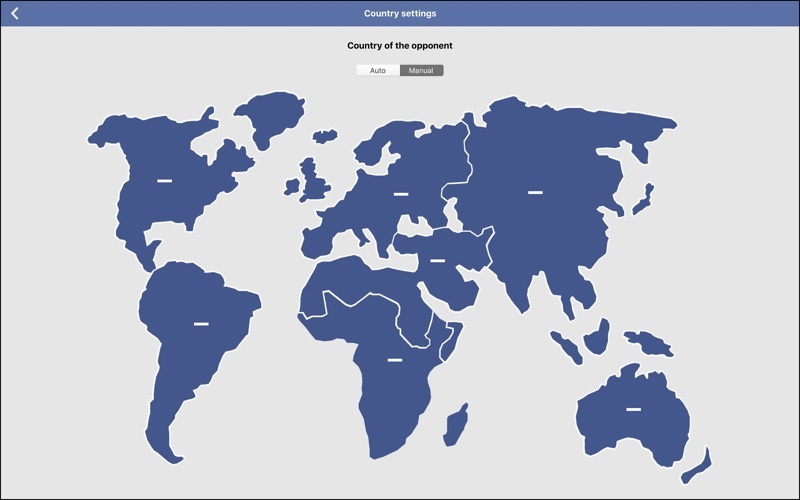 Although you can select any clock, the features of this app are specifically designed for fighting network latency, frequent disconnecting and slow/unstable connections in remote or busy locations. 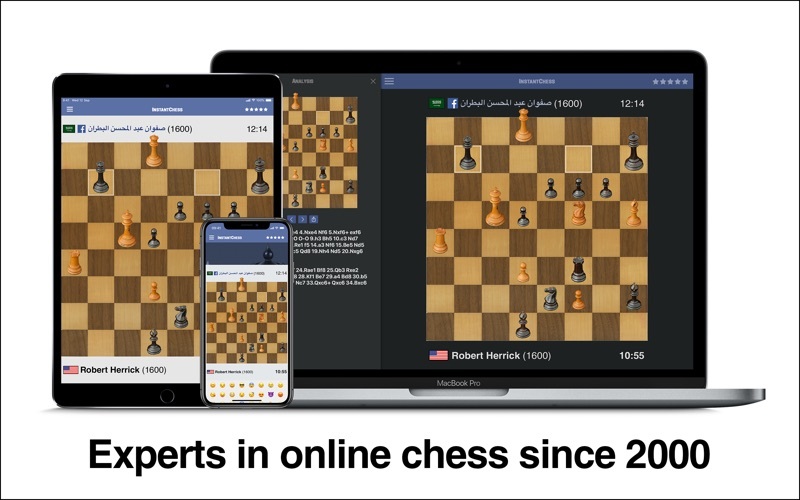 Bullet Chess app is significantly faster than any solution based on a web browser, so you won't experience lags caused by your browser performance. 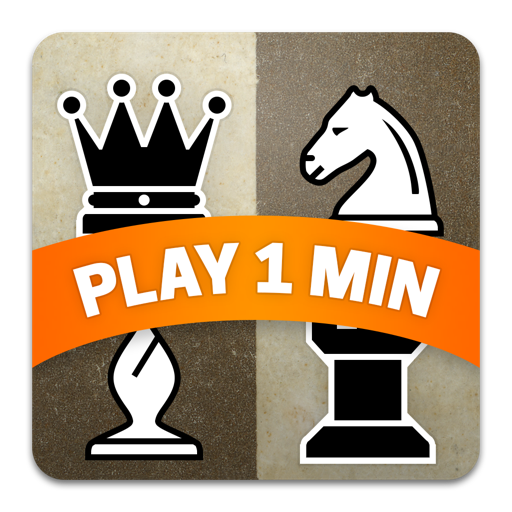 Unlimited Play – unlimited number of games to play with no ads, any prefered game clock and opponent level for the following 7 or 30 days. Payment will be taken from your iTunes account as soon as the purchase is validated. 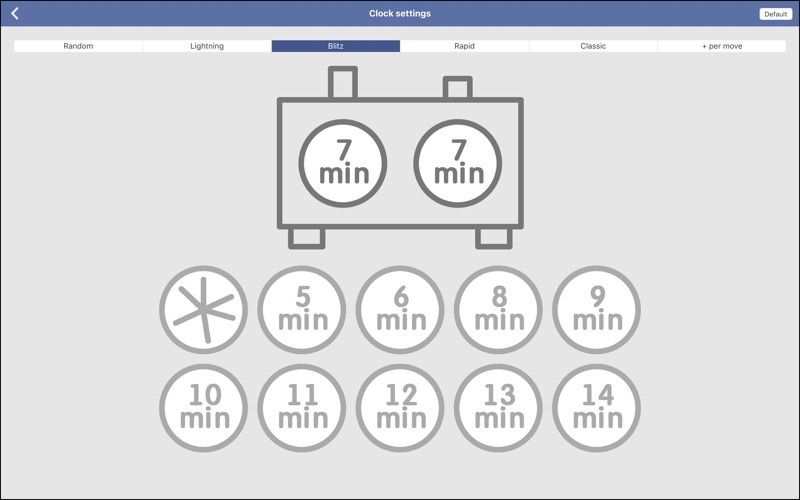 Your subscription renews itself automatically provided you do not disable auto-review during the 24-hour period before the current period expires. The renewal charge will be applied to your account within the 24-hour period before the current subscription expires. You remain in control of your subscription and you can disable the auto-renewal feature at any time through your account settings. 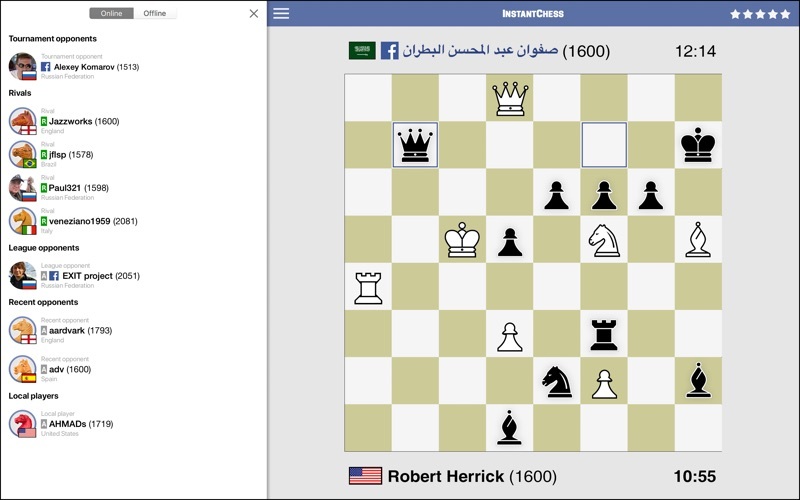 Thanks for playing on InstantChess! 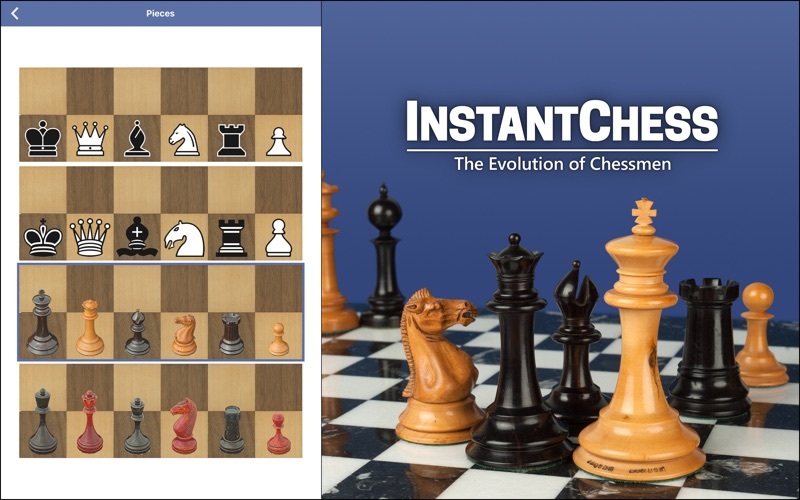 In every update, we improve our app and enhance it with new features making it easier for you to play and enjoy the wonderful game of chess.